OnePlus 5 is one of the most anticipated and talked about smartphones right now in the gadget scene around the world. Leaks and rumors have been bombarding the internet both from unknown and confirmed sources such as the OnePlus company itself. That being said, a few of these rumored specs have already been made official, sort of. For example, it is now confirmed that the phone will have a Full HD display, but no words yet as to what type of panel it's going to be, IPS or AMOLED? Another thing that has been confirmed so far is the processor which according to OnePlus and Qualcomm will have the latest Snapdragon 835 chip. Dual rear camera is also a real deal now on this handset but no info on configurations yet. And most of all the launch date, in the US it will arrive on June 20 while in India will be on June 22 with the sale also beginning to happen on the same date. 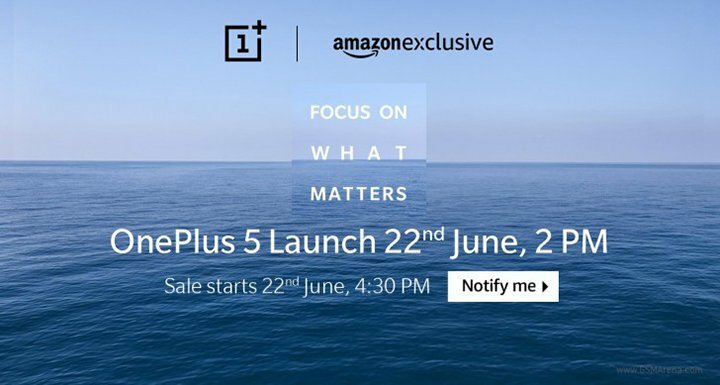 Above was the image that was posted by Amazon India, informing its visitors that the OnePlus 5 will be finally launched on June 22, and sale to kick off at 4:30PM local time. In addition to the announcement of Amazon India, popular tech tipster @evleaks revealed that further digging into the page's source code, it tells that the OnePlus 5 will be equipped with a whopping 8GB of RAM alongside a Snapdragon 835 processor. The image above was posted by OnePlus on its Facebook page announcing the launch time and date for the smartphone. 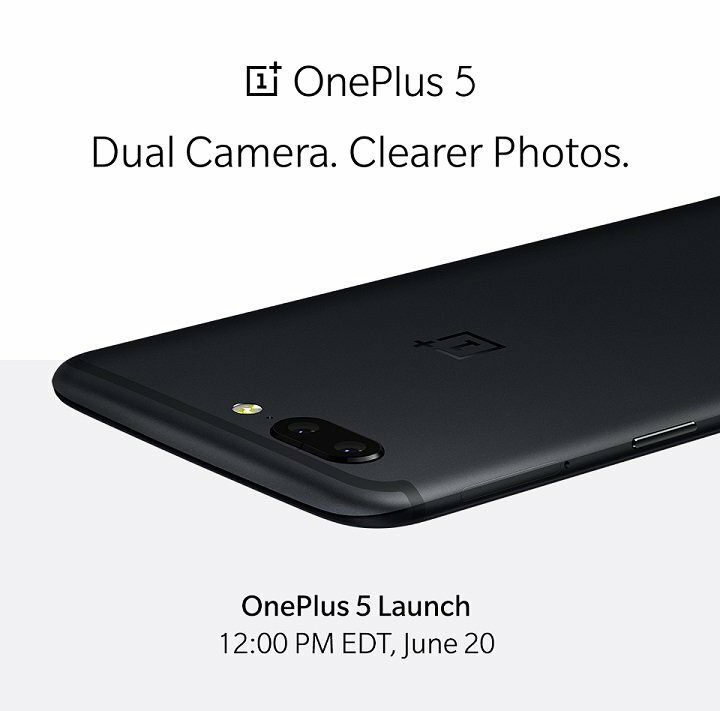 This image alone confirms a couple of most talked about features of the phone, the dual camera and the design which is not so similar anymore to last year OnePlus 3 and 3T, and the extremely thin profile measurement. Of course a lot of the details surrounding the OnePlus 5 are still in the rumor mill, so we really cannot expect all of this to be real until OnePlus itself makes the formal announcement which is to happen in two weeks time.